Celebrate the timeless video game series The Legend of Zelda with these collectible Backpack Buddies! Mystery assortment contains 9 different Zelda characters and artifacts to collect! Be on the lookout for the rare mystery chase hanger! Show off your hanger collection attached to your backpack, or hang them in your room for an awesome display! 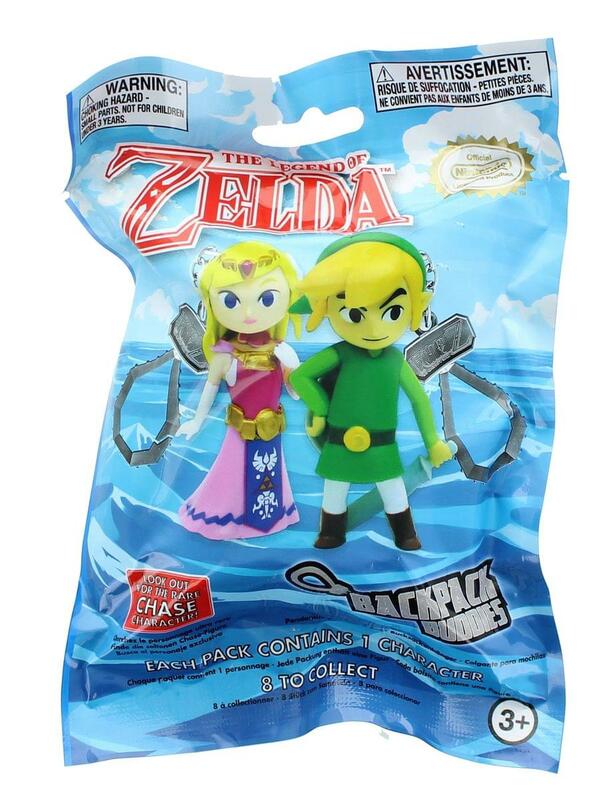 Each blind bag contains one (1) Legend of Zelda Backpack Buddy. Each hanger measures approximately 3 inches.